Charlotte I always make a mental note on my last work-trip of the year. As usual, it’s for the ACORN Canada Year End/Year Beginning meeting. After a multi-year run through cities largely in the Midwest, we’re all heading for Montreal. Somehow, it’s appropriate to offer some travel tips at this point in a year where I may have logged more road miles than any other. I’m going to say it is by popular demand though, rather than personal privilege. I got several emails from longtime readers and friends, one reporting a nightmare where he was stuck in my $20 situation, but instead was at a hotel in Tehran with only an hour to make the plane and scrounging for cash before waking up, with the cashier a 26-dollar bill. The other was looking for advice for a son about to intern in Cambodia. From those kinds of comments, I will claim a mandate, rather than an obsession. Hiding cash and carrying multiple cars: I’ve already detailed this, but it’s worth repeating. No matter what you read in the Wall Street Journal, Economist, or the Financial Times in the real-world credit and debit cards continue to not work, as often as they do work. Booking a flight on Kenya Airlines, no matter what the website said, they only took American Express. Usually, it’s the other way around, and one will only want Visa or Mastercard, pretending they are Costco’s or something. Any new card that has a chip is supposed to mean that you no longer have to call the company or the bank issuer to use the card around the world. I say supposed to mean, because many on the road are finding the opposite. Ok, and cash, bring a pile in different denominations of the greenback dollars, but also fifty or more in euros, pounds, and whatever currency of countries where you travel. Dollars are best. Everyone takes them eventually, no matter how finicky. Hide them well, but not so well that you forget their location. Who really wants to go somewhere with someone to find an ATM while in a foreign country? I mean really? A helmet: In Cambodia, just like Uganda or Cameroon, you’re going to be riding recklessly on the back of a motorcycle or scooter, because that’s what a cab usually is and that’s what you can afford. If you’re going to be there a while, bring a helmet, and live to tell about it later. Jackets and Shoes: Even when in sweltering climates, find a jacket with lots of pockets (some secret-ish, as discussed above). This way you have plenty of places to put stuff when you go through airport security. You don’t want to leave change around even there. I was once asked for a bribe in Johannesburg by the worker pulling bags out of the screening machine. I used to travel in “runners,” as my Canadian comrades call running shoes or sneakers. Now, if I’m international or on any kind of schlep that isn’t pre-TSA, go slip-on. I picked up a pair of Sketchers in Cardiff this summer which have been great in Honduras and Kenya Winter is here, so I’m sporting Merrell’s. Just saying. 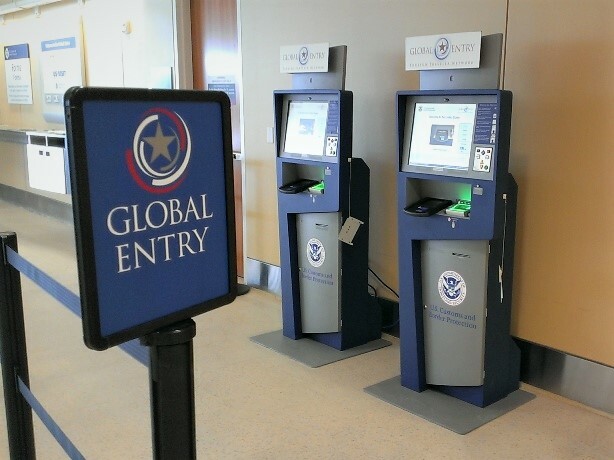 Global Entry: Along with a lifetime pass to the United States National Park System, this is without a doubt one of the government’s best bargains. In fact, I gave the resources to acquire one to everyone in my family last year. Once you clear, and it’s easier now than when I first signed on, but that’s a longer story, the Global Entry number is also the one you add when you’re checking in on-line and that automatically triggers a pre-TSA, so you just doubled your money, my friends. It’s $100 for 5-years, that’s $20 a pop, and it’s worth it. This entry was posted in Ideas and Issues and tagged traveling by Wade. Bookmark the permalink.